As the popular saying goes, “New Year, New Me” and we’re on board! While we love how traditional we may be, we love staying on trends and exploring new options even more. 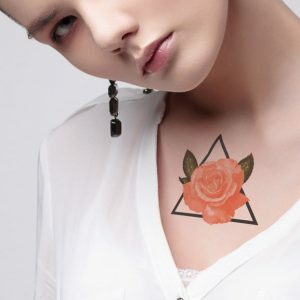 The new year is in full swing, and we have beautiful new designs that are perfect for all of our temporary tattoo lovers. According to The Pantone Color Institute, Coral has been named the color of 2019, and we couldn’t be more excited! Coral is a pink-orange color. The color coral welcomes and encourages light-hearted activity, and embodies our desire for playful expression. For understanding what other colors to pair with coral, Canva expresses, “A dynamic and vibrant color, coral is particularly stunning when combined with tiffany blue and white. But it can also be combined with warm colors such as yellows. For a somber and versatile palette, combine coral with navy blue, taupes and grays. For a masculine feel, use coral as an accent to navy blue”. To ensure that everyone has options, we designed several different styles to keep you on trend with the new coral theme. For an oceanic vibe, our Coral Starfish and Seashell are beautiful options. 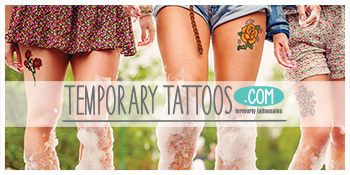 These temporary tattoos are perfect for a day at the beach, or for a DIY mermaid costume. If you’re looking for an easy all-in-one mermaid costume, we highly recommend our Mermaid Costume Pack. All of your favorite oceanic designs including our favorite coral colors in one fun pack! With our new coral colored designs, we loved the idea of tying the color in with floral artwork. Our newest additions to the coral family include: Flower Carnations, Flower Crescent Moon, Triangle Rose, and our Metallic Mandala. These beauties are perfect for any occasion from a stroll in the park to a brunch with your besties. 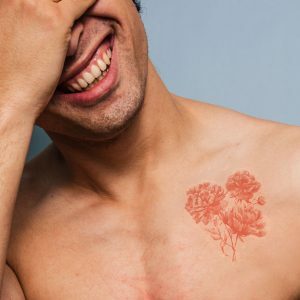 If you’re thinking about getting a real tattoo then try out our temporary tattoos to ensure that you are making the best lifetime commitment. Enjoy the new year with our coral themed designs! These designs are sure to keep you on trend, and make a vibrant statement. We love to see how our friends incorporate our temporary tattoos in their lives, so be sure to tag us on social media @temporary.tattoos!